Pilkington OptiView™ Protect OW, a glass that enhances the value of a work of art, is being used to protect Titian's "Annunciazione di San Rocco”. A 1539 masterpiece by Titian entitled “Annunciazione di San Rocco” was the inspiration for a more modern-day interpretation by German artist Gerhard Richter. 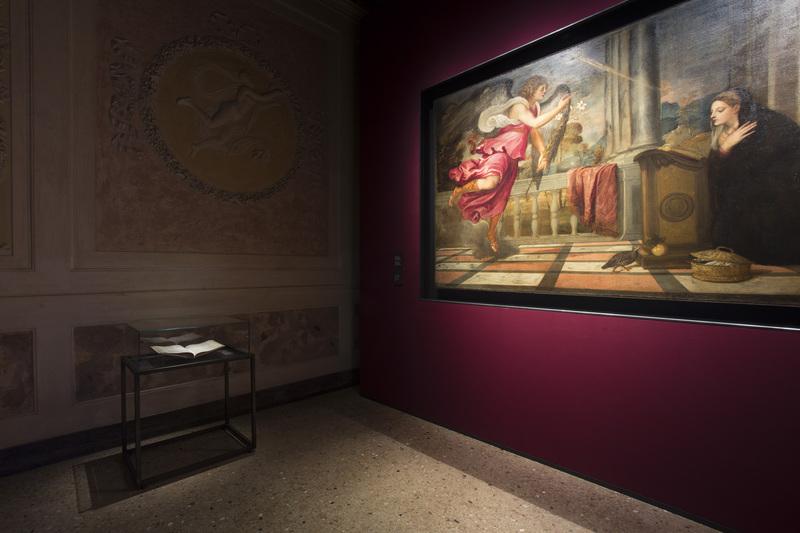 Works from the two artists are currently on display in Italy and thanks to Pilkington OptiView™ Protect OW, the original Titian masterpiece is being exhibited in complete all-round clarity and safety. With its very low light reflection - less than two per cent - Pilkington OptiView™ Protect OW creates a clearer view of the object on display as well as enhancing its key features. The ability of the glass to shield more than 99 per cent of UVA and UVB ultraviolet rays, which over time would cause deterioration in colours in paintings and works of art, means protection throughout prolonged public exposure. Furthermore, this exceptional coated and laminated product protects the goods on display from vandalism, according to EN 12600 - 1(B)1 and EN 356 - P2A. Ever-popular in many museums around the world for these valuable features, Pilkington OptiView™ Protect OW is often also the product of choice for automotive showrooms as well as commercial showcases. The exhibition at the Palazzo Te in Mantua is being held until 6 January, 2019, where the Annunciazione di San Rocco is one of two Titian masterpieces on display together with Richter’s paintings, so that they can be compared to the original influence. Exhibition "Tiziano / Gerhard Ricther. Heaven on earth. ", Mantua Palazzo Te until 6 January 2019. Curated by Helmut Friedel, Marsel Grosso, Giovanni Iovane.